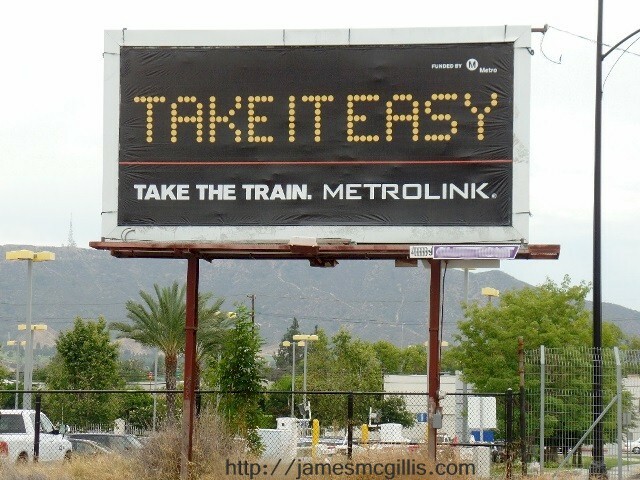 On February 24, 2015, Metrolink Train No. 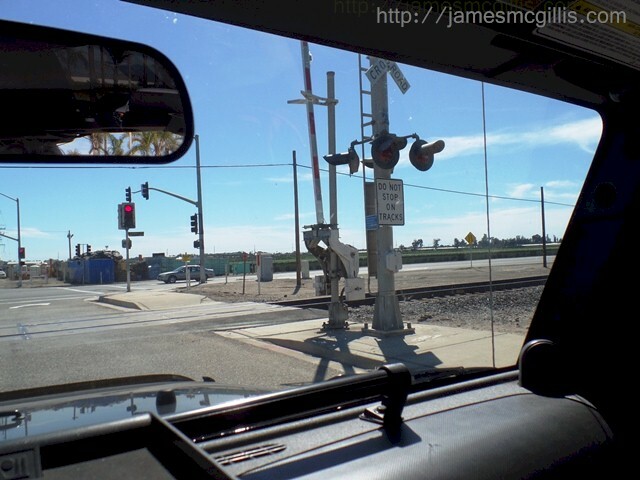 102 collided with and abandoned work truck and trailer at a grade crossing in Oxnard, California. Over the years, there had been multiple train collisions and many fatalities at the Rice Ave. and Fifth Street crossing. News reports at the time indicated that there were fifty people on that train. Of those aboard, twenty-eight sustained injuries, including four transported from the scene in critical condition. One of the walking wounded exited the toppled second coach under his own power, only later to discover that he had a broken neck. 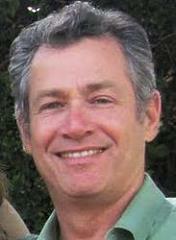 Another critically injured passenger, Mr. Marc Gerstel, was a regular rider on the early Metrolink train from the Oxnard Station to Union Station in Los Angeles. An adjunct professor of dental technology, Gerstel would ride Metrolink and then catch the Red Line to Los Angeles City College. On a normal day, Gerstel could depart Oxnard at 5:39 AM, arriving in Los Angeles at 7:14 AM. Absent any traffic, a similar trip by automobile would take about the same amount of time. If attempted during morning commute time, the automobile trip might take twice as long. Only Metrolink’s speedy train service allowed Gerstel to live in Ventura County and work near Downtown Los Angeles. In 2005, Metrolink admitted that fixed worktables in its Bombardier bi-level coaches had added to injuries in a Glendale Metrolink collision earlier that year. Although the 2005 Glendale collision resulted in eleven deaths, no one except Metrolink knows how many of those fatalities resulted from human impact with fixed worktables. In 2005, Metrolink also knew that the Bombardier bi-level coaches were prone to decoupling in a collision. In a derailment, the uncoupling of coaches can exacerbate the effects of a collision, allowing coaches to both whip around and to topple over. 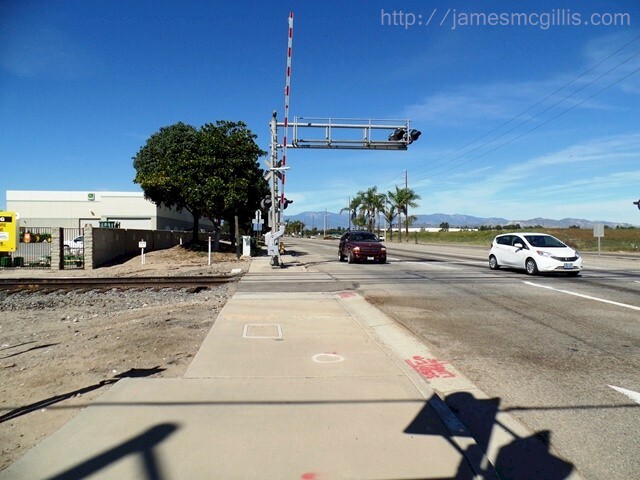 In 2008, a Metrolink train collided head-on with a Union Pacific Freight train in Chatsworth, California. With twenty-five deaths, the Chatsworth collision became the deadliest in Metrolink history. Led by a diesel engine, all three of the coaches in that train were of bi-level design, manufactured by Bombardier. The collision was so violent that the Metrolink diesel engine telescoped rearward into the first coach, tearing it open and igniting a fire. At Chatsworth, the third and fourth Bombardier bi-level coaches remained upright and on the rails. Luckily, for the passengers in those two coaches, the collision happened on a curve, thus sending both engines and the first coach to the outside of the curve. News reports at the time indicated that at least one fatality resulted from human impact with a fixed worktable. In that case, first responders discovered that the worktable nearly severed the victim’s body upon impact. The National Transportation Safety Board (NTSB) Final Accident Report stated, "The tabletops are trapezoidal in shape, approximately of uniform size and manufactured of a high-pressure laminate without any form of safety padding". Although damage to the first coach was catastrophic, "the second passenger coach from the locomotive did not sustain severe structural damage". Although the NTSB report does not state a reason for the single fatality experienced in that coach, the "dislodged or separated work-station tables" were the likely cause. If not a human body being thrust against it, what else would dislodge a worktable in an otherwise lightly damaged coach? On Page 62 of the same Final Accident Report, NTSB sidles up to the extant dangers associated with the worktables installed in all Metrolink Bombardier bi-level coaches. The report states, "As configured, these one-piece tabletops are at abdomen height for a passenger seated at the table, thus placing that person at risk of sustaining serious abdominal injury in the event... of a collision impact. 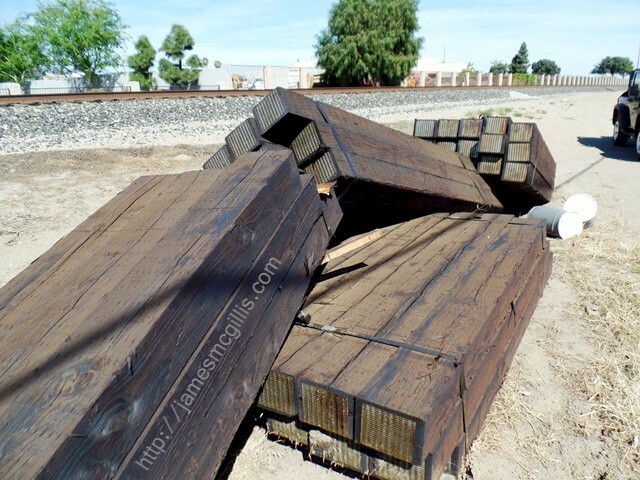 As a result of its investigation of the 2002 collision of a Metrolink commuter train... in Placentia, California, the NTSB determined that two Metrolink passengers had been fatally injured as a result of abdominal injuries resulting from impact with a workstation table". The Final Report indicated that "Existing Metrolink coaches will also be retrofitted with (crash energy management) features". To date, however, Metrolink has not retrofitted the worktables on any of its Bombardier bi-level coaches still in service. 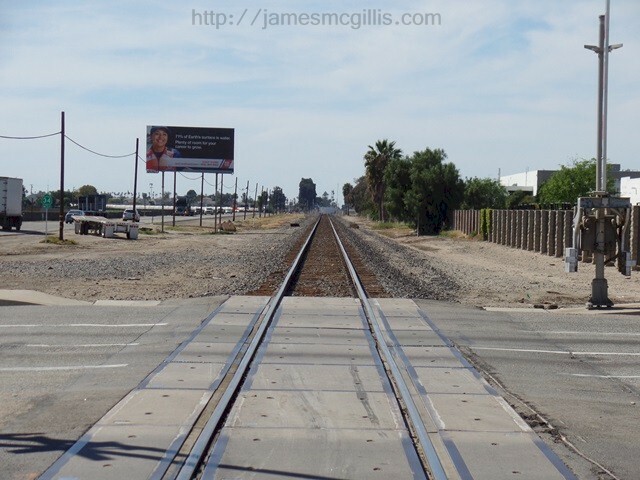 In plain English, for at least twelve years prior to the February 24, 2015 Rice Ave. collision, Metrolink knew that its Bombardier bi-level coaches contained killer tables, yet did absolutely nothing to curtail their use or to remove them from service. With ridership plummeting and an unenviable safety record, Metrolink moved forward to spend a reported $263 million on new Hyundai-Rotem rolling stock. With enhanced Crash Energy Management (CEM) and “frangible worktables”, the Metrolink purchase included fifty-seven new cabcars and sixty bi-level coaches. Later in 2010, Metrolink purchased twenty more Hyundai-Rotem bi-level coaches of similar design. By June 2013, Metrolink claimed to have "replaced almost all of its aging rail cars". In 2012, Metrolink published its five-year “Metrolink Fleet Plan”. Buried under the section titled “Current Metrolink Inventory”, the document discusses “Metrolink’s established benchmark in safety, upgrades and passenger comfort”. Using language so dense that I had to read it several times, Metrolink indicated that ongoing fleet replacement plans preclude upgrading the older Bombardier bi-level coaches. They cite “Guardian (Hyundai-Rotem) layout and table type for CEM benefits versus retrofitting Sentinel (Bombardier) with energy absorbing tables”. In plain English, that means that Metrolink will continue to utilize obsolete Bombardier bi-level coaches with killer worktables until their eventual replacement with new Hyundai-Rotem coaches. 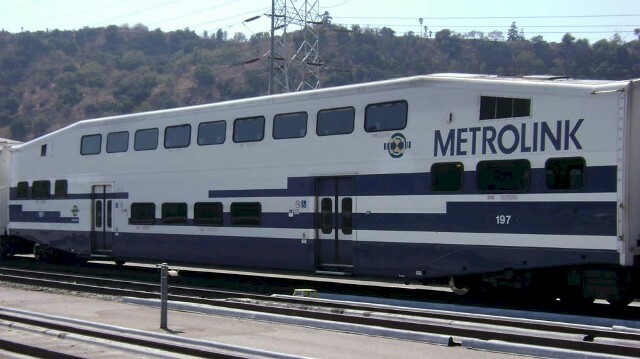 Since there is no currently published plan for Metrolink to purchase additional Hyundai-Rotem "Guardian" coaches, the obsolete Bombardier bi-level coaches will continue to roll for many years to come. As stated in Metrolink’s own 2012 Metrolink Fleet Plan, coaches that have traveled over one million miles should be retired. 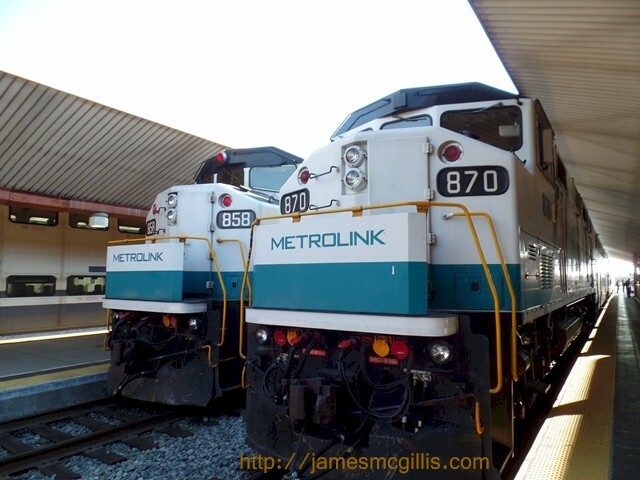 Still, as of 2012, Metrolink was operating sixty Bombardier “trailer cars” and twenty-eight “cab cars” which averaged 1.3 million miles of service. At that time, another twenty-three Bombardier cabcars and coaches averaged 950,000 miles. By 2016, almost every Bombardier cab and coach in the Metrolink fleet will be functionally obsolete. When you consider Metrolink’s refusal to retrofit existing Bombardier bi-level coaches with safer worktables, Metrolink’s own “benchmark in safety” sounds more like “gross negligence” to me. Under normal circumstances, Marc Gerstel rode in the third or fourth coach, facing toward the rear. Typically, the third and fourth coaches in Train No. 102 were of the newer type, manufactured by Hyundai-Rotem. After a collision, the design of the Hyundai-Rotem coupling systems should keep all coaches connected and heading in the same direction of travel. That morning, Gerstel needed to make a quick transfer to the Red Line at Union Station. Therefore, Gerstel rode facing forward on the Metrolink train, sitting at a worktable in the second coach, which was an obsolete Bombardier bi-level model. Before sunrise on February 24, 2015, Metrolink Train No. 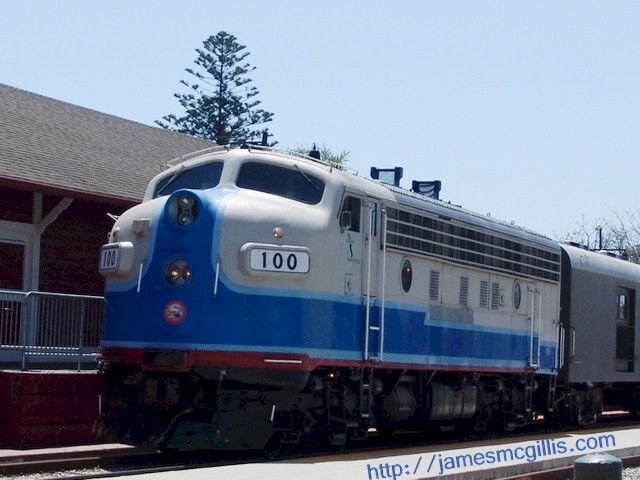 102 traveled across the Oxnard plain. According to the NTSB Preliminary Accident Report, it approached the Rice Ave. grade crossing at fifty-six miles per hour. 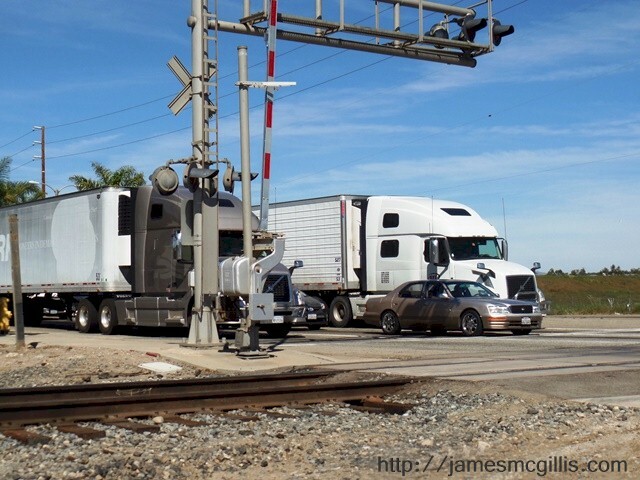 Upon seeing the work truck and trailer disabled and lodged on the railroad tracks, a student engineer at the controls of the Hyundai-Rotem cabcar engaged the emergency brakes and sounded the horn. Seated at a worktable on the right-hand side, upper level of the Bombardier bi-level coach, Gerstel heard the brakes engage. Seconds later, Gerstel felt and heard the impact of the cabcar with the work truck. Immediately, his laptop computer flew forward across the worktable. Instinctively, Gerstel reached in vain for his laptop. As his coach passed the collision site in the darkness, Gerstel saw a fireball outside the window. 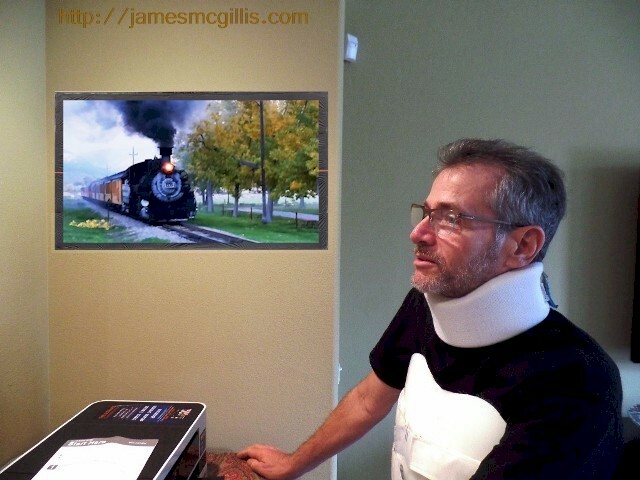 Hearing steel wheels riding across the concrete grade crossing, Gerstel knew that his coach was off the rails. Although it decelerated rapidly from fifty-six miles per hour to a whipping and rotating halt, the size of the Bombardier bi-level coach created a slow-motion effect. Another passenger rode through the collision while clutching one of the vertical stanchion poles inside Gerstel’s coach. Weeks later, he described to Gerstel what he had observed. He said that all of the passengers appeared to fly vertically out of their seats. In this case, vertical was only in reference to the inside of the coach. In reality, the Bombardier bi-level coach had decoupled at both ends. As the cabcar whipped to the left, the rear end of the coach whipped forward and to the right, while simultaneously toppling on its side. During his recuperation, Gerstel has pieced together his own personal chain of events. 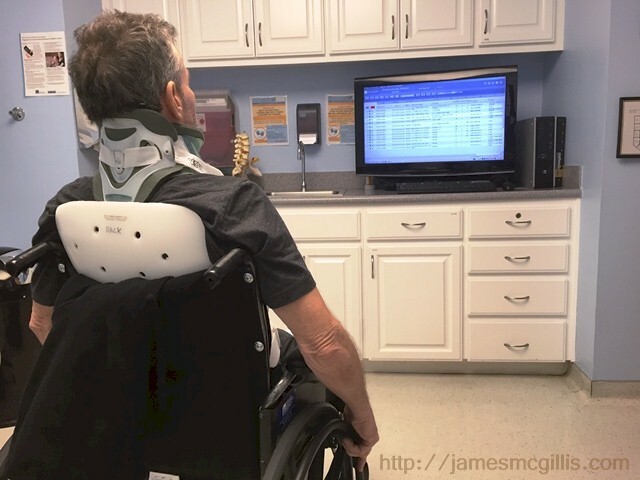 In May 2015, he told me, “As I reached forward to grab my laptop, I was pulled sideways out of my seat, in a backward motion. I went airborne and struck what I assume was the worktable across the aisle. 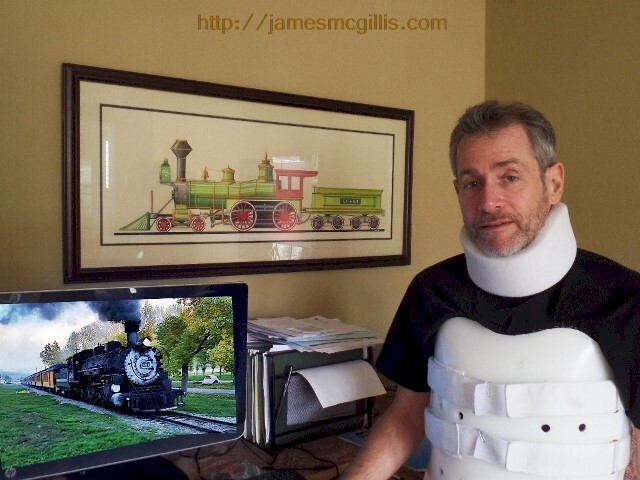 When the train slammed down on its side I sustained serious injuries. I believe that I hit my original worktable and/or another object. 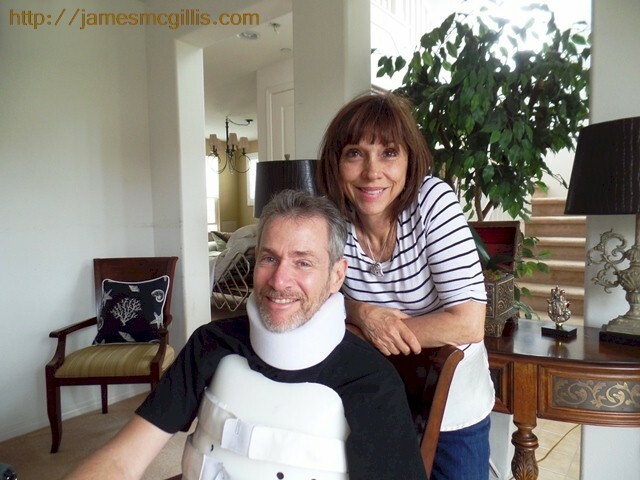 My neck was severely fractured and my back vertebrae shattered. At impact, I blacked out... so I cannot attest to how many times I hit any of the worktables. I also had a head injury, so I must have tumbled like tennis shoes in a dryer”. In the newer Hyundai-Rotem coaches, the edges of the worktables are five or six inches thick. During impact, their design allows them to break away from their moorings, thus cushioning the blow to any human body that may impinge upon them. In the older Bombardier bi-level coaches, the tops of the worktables are of "high pressure laminate" design. Designed in the 1970s, the worktables look like a fortified version of a kitchen table from that era. The worktables feature a single support column that is through-bolted to a plywood sub-floor. The opposite end of each tabletop is firmly attached to the interior wall of the coach. Unintentionally, Bombardier worktables will sacrifice a human body before they will accept the dishevelment of a coach. Although his mobile telephone was permanently deformed during impact with various immovable objects in the Bombardier bi-level coach, it still functioned after the crash. With its new and interesting shape, one wonders what objects it hit as it cushioned its wearer, Mr. Marc Gerstel. Did his mobile telephone "absorb the bullet" that might otherwise have taken his life? Weeks later, during Gerstel’s long and arduous recovery, his supervisor and mentor at Los Angeles City College visited him in the hospital. After the dismembered train came to a thunderous halt, Gerstel lay crumpled, broken and unconscious. There, in an overturned, obsolete rail car filled with hazardous worktables, he awoke. Regaining consciousness just long enough to voice-text his boss, “Train wreck. Cancel class.” was all that he said. Having embarked from Oxnard on Metrolink Train No. 102 many times before, Gerstel had observed Senior Engineer, Glenn Steele, but only from afar. With his forty-two years experience and number-one ranking on the Metrolink seniority list, Steele had his pick of any assignment within the Metrolink system. Always up for a challenge, he often chose the Ventura County Line to polish his skills. In deference to the engineer's privacy and the gravity of his task, Gerstel had never approached nor spoken to Steele. After the accident, paramedics transported both Gerstel and Steele to the intensive care unit at Ventura County Medical Center (VCMC). For the next several days, lying injured and awake in his ICU bed at night, Gerstel often heard medical professionals attending to Steele. More than once, caregivers attending to Steele encouraged him to breathe. Twice during his stay at VCMC, Steele's heart had stopped. Four or five days after the collision, Steele was transferred to Cedars-Sinai Medical Center in Los Angeles for specialized care. A few hours short of one week after the collision, Senior Metrolink Engineer, Mr. Glenn Steele succumbed to his injuries. According to Darren Kettle, executive director of the Ventura County Transportation Commission, instead of running to the back of the train to save himself, Steele stayed in front and apparently laid on the brakes much longer to try to protect the fifty passengers on board. As the Ventura County Star newspaper reported that day, “Four were critically injured, including Steele. Of the other three, only one remained hospitalized Tuesday, in stable condition at Ventura County Medical Center”. 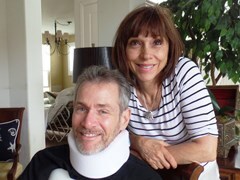 With a broken neck and shattered spine, that remaining patient was husband, father, teacher and friend, Mr. Marc Gerstel.